Welcome to the April Newsletter. In this issue we look at risk and the associated costs of not protecting your intellectual assets, and the steps you can take to protect your creative designs. Earlier this month the Guardian reported that Led Zeppelin will face the jury in May this year. The lawsuit for copyright infringement was brought by Michael Skidmore, a trustee of the Spirits guitarist Randy California. They allege the opening cords to ‘Stairway to Heaven’ were copied from Spirits track, ‘Taurus’. While this has made the news now, what is interesting is they considered a lawsuit back in the 1980s but the family said they could never afford it. The judge has now ruled that the trustee could only get 50% of any damages but given the track has earned in excess of $500m in royalties, there is still a large amount at stake. Furthermore, the case has wide implications across the music industry, encouraging other artists to go to court for songs that may have been sampled or copied in the last 50 years. Magmatic launched their ride-on Trunki suitcases in 2003 designed for the children’s market, and they were an instant hit. They knew it was a great idea, and took the steps to register the design. However, 10 years later, Hong Kong based company Kiddee launched their discount rival featuring insects with antennae and animals with ears. Unfortunately, after a lengthy court case, climaxing in the Supreme Court in London and costing more than £500k, it was found that the registered design only covered the specific shape illustrated in the design drawings – it did not give Trunki a monopoly on ride on luggage. The Judge commented on the computer-generated images that had been used, which included more detail than the line-art images traditionally used for registered designs. 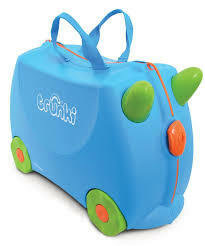 Registered designs using computer-generated images like Trunki’s are used to protect 1/3rd of designs across Europe. The ruling was a huge blow to creative businesses who may rely on these design rights. The appropriate response is to get creative, break down the design into its components and register each of the individual original parts, as well as the overall design. This approach will help protect the small businesses against a similar case in the future. Oxford United are optimistic of good times coming and have trademarked ‘Oxford United’. They faced initial scepticism but fans understand the brand has to be protected. The trademark will prevent anyone else selling many merchandise under the club’s name. Peter Lee, the club’s Head of Retail explains the importance of the trademark ‘When you get successful, people start trying to bootleg you. This is not a massive club in terms of money and it’s all about making sure it goes back into the club’. At Downing IP, we help and advise clients working out what goods and services their trademark should cover. It is an important step, all the goods and services need to be a bona fide intention. For Oxford United, they have included watches, toothpicks and blankets and even lingerie to their trademarked goods and services. Once a year, we celebrate World Intellectual Property day. This year the focus is on encouraging innovation and creativity, and how the how a flexible Intellectual Property system can help ensure artists and creative industries are paid for their work. Check out the hundreds of events running throughout the world, discussing patents, trademarks, industrial designs and copyright. The cases we have discussed in this Newsletter highlight the issues of protecting your assets and the knowledge you need to understand the laws. At Downing IP, our experts have years of experience and know the laws around patents, copyrights and trademarks, both for the UK and for overseas. If you are unsure how to go about registering your design, or would like help navigating the complex design rights, call us now on 01494 422626.